The Core Vintage open-face helmet has the look of a traditional 3/4th helmet like the ones worn in 'Easy Rider'. 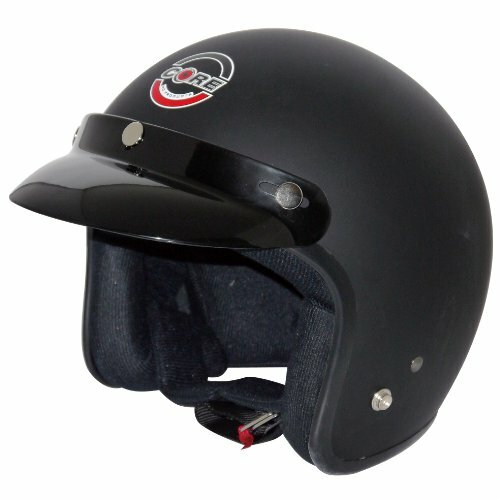 The Vintage open-face helmet has 5 snaps to accommodate a flat shield and a 3-snap bubble visor is included. Made with an injection thermoplastic alloy shell finished with premium automotive paint and clear coated for additional scratch protection. Plush breathable 2-tone brushed nylon comfort interior and a double D-ring retention system. Meets and exceeds DOT FMSV218 standard. Available in sizes X-Small through X-Large.